Think outside of the box (house). Make sure the exterior of your home sends a “Welcome” message! Hang easy-to-read house numbers, mow the lawn, wash the windows, repaint or stain your deck if needed, plant blooming flowers. Clear away the clutter inside. Clean and clear surfaces, floors, cupboards and closets. A clean and clear space shows as more spacious to potential buyers. Style your dining table! This is often an overlooked opportunity. A cheery option is to place a clear bowl full of lemons or an arrangement of flowers. Do a sniff test! Your nose may be accustomed to the scent of your home, but it’s important to take out the garbage, remove dirty laundry, and use a deodorizer if you have a pet. Another trick is to bake a cake before a showing so your house smells “homey “ – just think, if you have 4 showings in a week you could eat 4 cakes that week as well! Win-win! Pretend it’s spring and do the deep cleaning! Baseboards, windows, walls . . . wash them all when you first list, and then give them a quick swipe before a showing! Display your closet space. 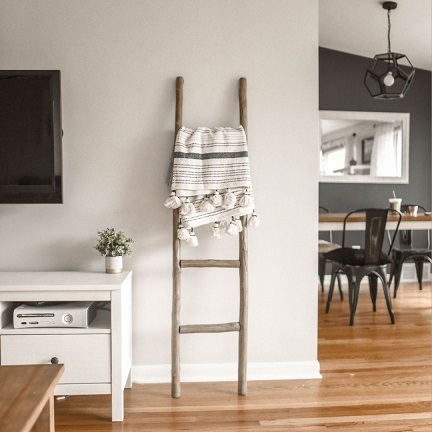 The buyers will be peaking in every nook and cranny of your home, and closet space can be a real make-or-break for some home buyers. Eliminate the extra items and display your closets as spacious and ample! Use the awkward areas creatively! Set up a little desk or a mommy-command center to display awkward areas as bonus space! Kids toys strewn about? That’s a no-go. Sure, you will have families shopping for a home, but seeing toys scattered throughout the home doesn’t give them that “Fresh-Start” feel they are looking for. Just remember, people pay for a home they can imagine themselves in. It’s worth the extra work if it saves you $5,000-$10,0000 in negotiating costs, or if your home is chosen over the neighbor’s identical home!